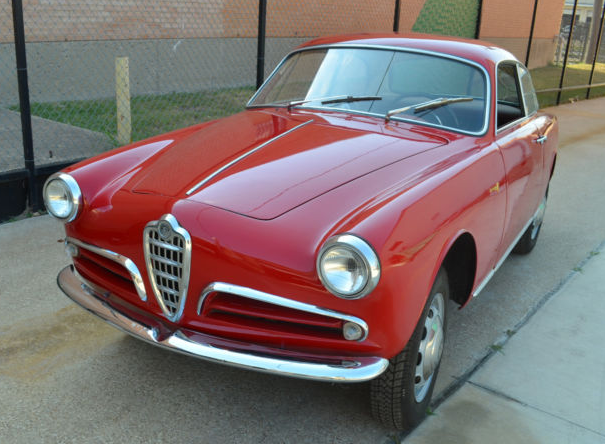 Giulietta Sprint 10106 ARE159104, 1315*42314 (not matching, from a 750D Spider). 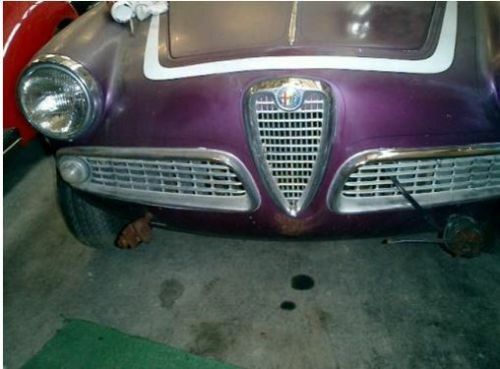 This car is on eBay right now from the same seller as the two Spider projects concurrently listed out of Connecticut. Matching number 00106 engine is missing, and it needs a lot of help, but these late Sprint Veloces seldom show up in any form for sale. I know they guy who bought this on Craigslist about 10 years ago out of the Mojave desert area – assuming this is the only Sprint Veloce in this paint scheme of course. As usual, it’s a Sprint project and I find myself tempted. Not the best group of pictures I’ve had to work with. 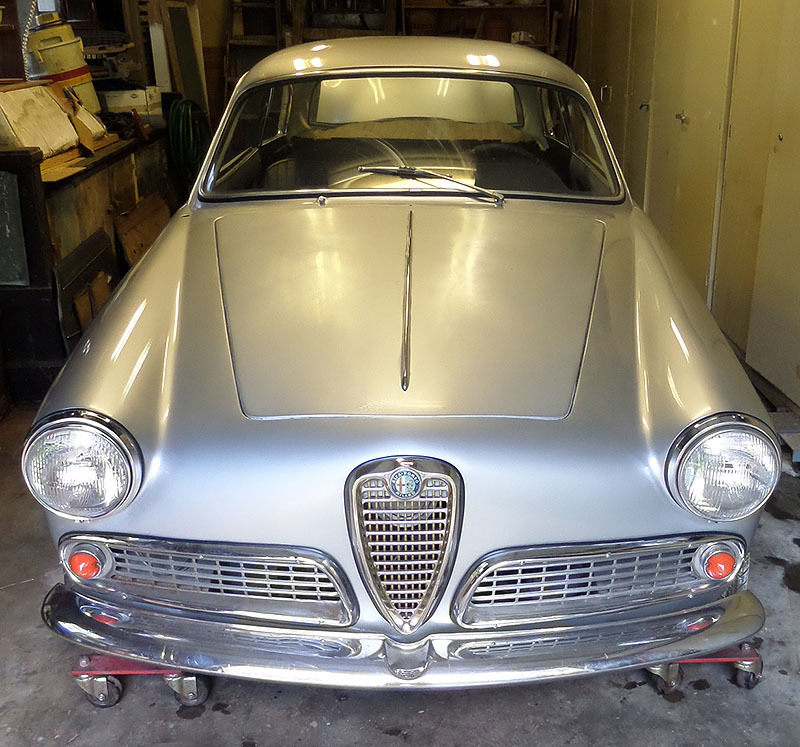 Giulietta Sprint 750B 1493*06248, 1315*05668. This jigsaw puzzle of a Sprint is on eBay out of Dallas. Bumpers excepted it looks somewhat complete at first glance (Lionel is going to ask me to define complete again) but you have to wonder how useable all the parts are. Some metal repair has been done, the quality of which is near impossible to determine without seeing it in person, but if you go into this assuming a lot of it will be redone to meet your very high standards, you can just pretend it still has gaping rust holes. Pete’s has this car listed with a, $11,500 sticker price. 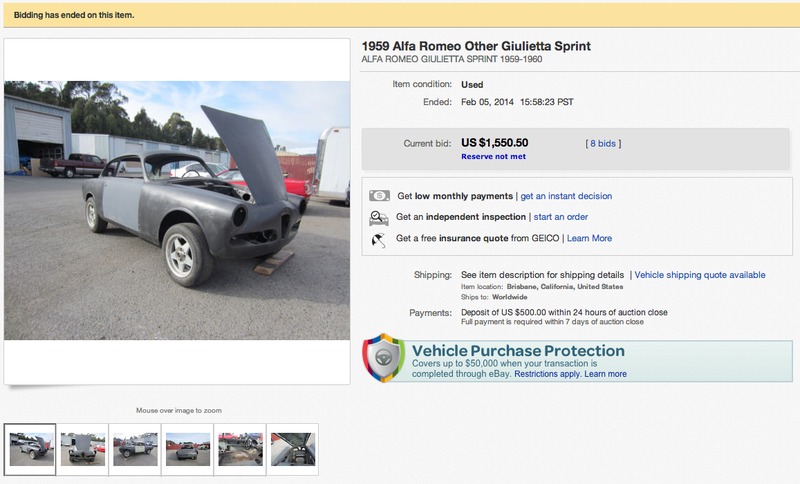 Not a bad deal for someone who already has one of these under restoration. 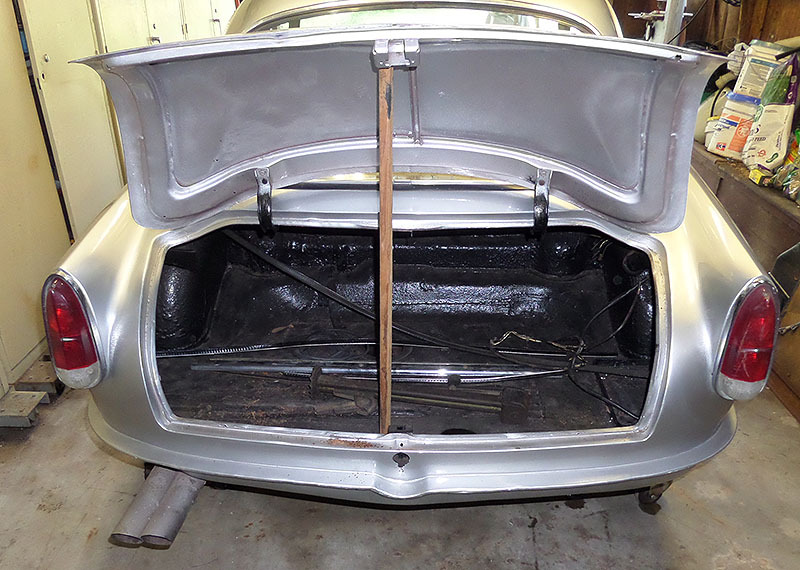 Update 2/5/14: This is the car I referred to in the write up of the super rusted out Sprint a few days ago. Get that and this and you would have the basis for a doable project. 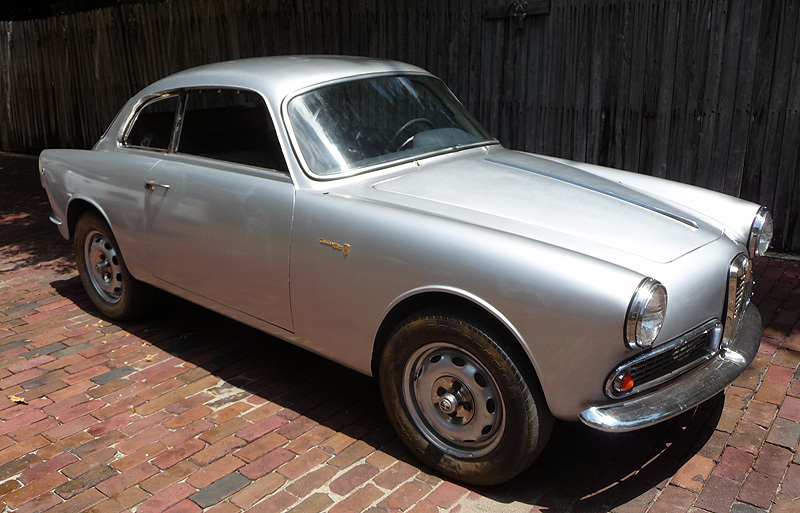 Giulietta Sprint 10102. Brian, who occasionally sells very very nice Alfa’s pointed out that this car is available now from Beverly Hills Car Club. BHCC seems to have a knack for turning up rough project European Sports cars. I wonder if it has anything to do with their pervasive Google ad campaign I see whenever I use Gmail. 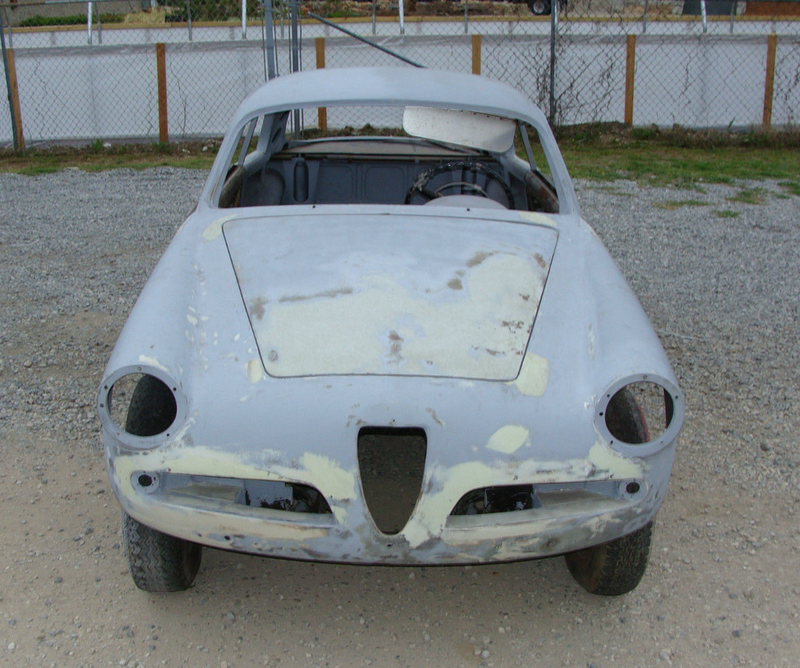 The numbers stated for the chassis and engine don’t make any sense except that I suspect the chassis number reported “652701” is actually part of the Bertone body number, and shorter by 1 digit than any other 101 Sprint Bertone number I have tracked. It’s rough, but get it together with the shell on eBay out of the SF Bay Area, and you might have something. Asking price of $8950 is a bit high, but as parts I suspect it could realize 70% of this. This is one of the worst Still together Sprints I’ve ever sen. Must have found a good place to hide when the hide and seek game started. 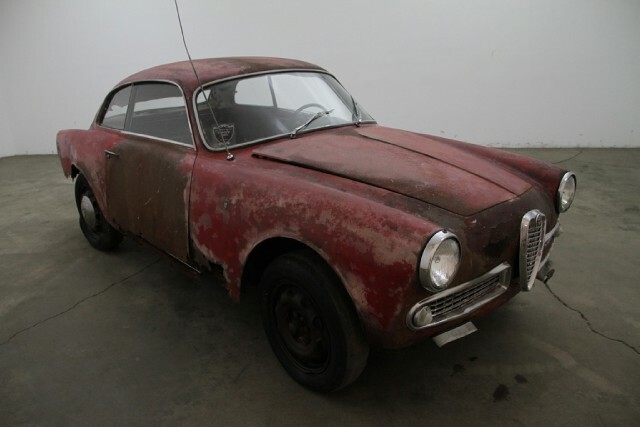 Giulietta Sprint 750B 1493*05588, 1315*04982. This somewhere between here and there project is on eBay now out of Richardson Texas. Asking price is a somewhat aggressive $33,500 that will seem like a deal in 5 years. While the project has been moved forward, and one could carry on, ignoring the less-than-perfect aspects and create a driver, I would consider a rethink on some of the work done and take a step back. 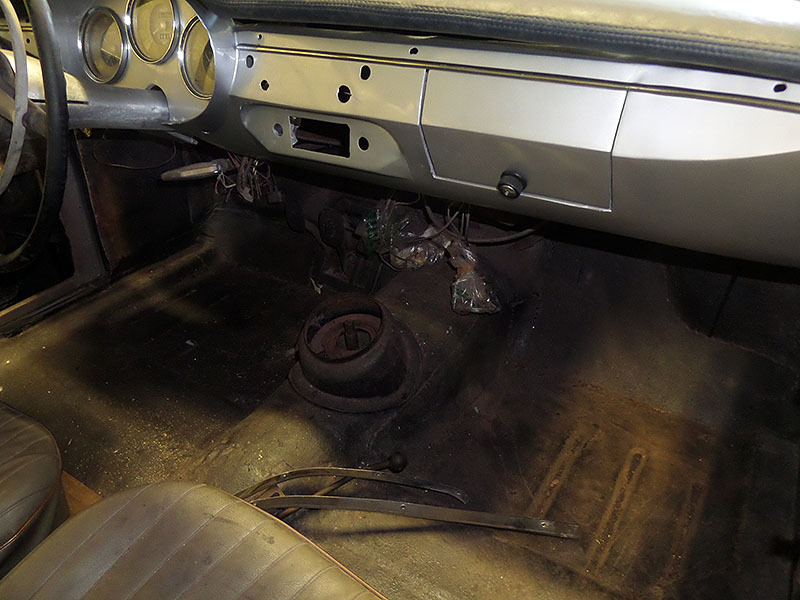 The wiring looks awful and new well made harnesses can be had from multiple sources for not much money -so this at least needs to be redone -yes, I know the under dash wiring is a bear, but that’s what patience is for right? Overspray and incorrect finishes in the engine compartment also needs attention, but none of this is particularly difficult. At the end of the project you’d have a nice early Sprint! Looks very nice. I’m sure someone can count few things wrong – like the missing badge, but as these go it’s pretty good. Giulia Sprint 1600 10112*353403. This car is available right now from Motoring Investments in San Diego. 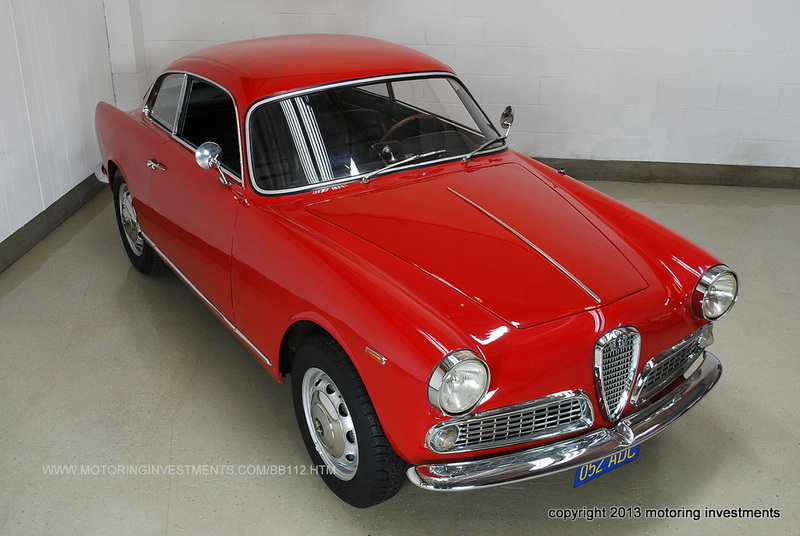 They have sold several very nice Alfa’s over the years and by all accounts do very high quality work getting the cars ready for sale. This particular example is overall very clean and ready for use, with some slight detail changes that could stand to be done to take it to the next level. Fantasy Junction sold that very nice one I wrote about recently for $56,500, so this one at $47,500 doesn’t seem too far off. Perfectly clean? Check! Neutral background? Check! Slightly saturated color? Check! Most handsome angle? Perhaps. A nicely composed image.